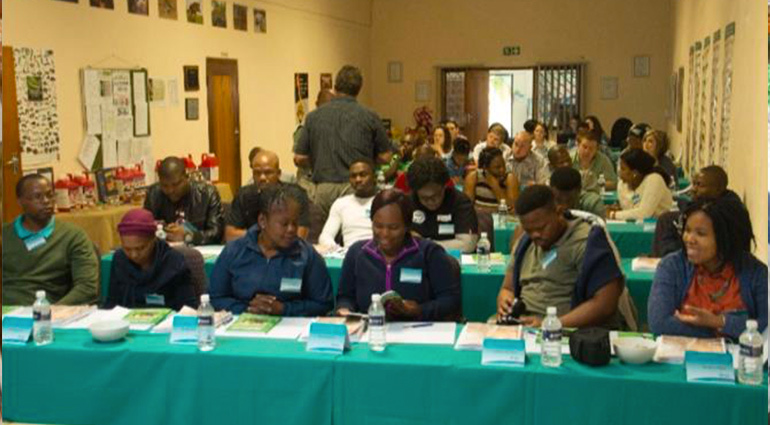 For the first time ever, Agrivet shop owners servicing rural areas in KwaZulu Natal received formal training in basic animal health. The training was hosted by Merck Sharp and Dohme (MSD), one of the largest pharmaceutical companies in the world. They have a training and research centre in Malelane, Mpumalanga. These trainings are normally run for staff of farmers cooperatives and agricultural shops of big towns. This training was specially held for this group as unusually they were an English group and totally African. The trainee leaves with sufficient knowledge to be able to serve any farmer with livestock problems needing over the counter medicines. It is an intensive course covering all major diseases and parasites as well as treatments, medicines, the main active ingredients and how to understand labels and cold chains.